www.boomlive.in is an independent digital journalism initiative. 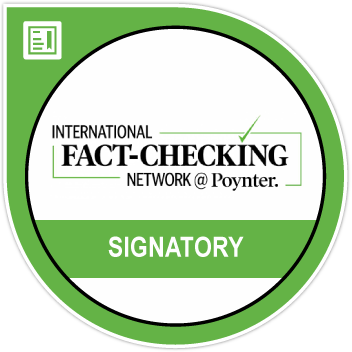 We are India’s premier fact checking website, committed to bring to our readers verified facts rather than opinion. When there is a claim, we will fact check it. We also report on stories and people who are fighting for individual rights, freedom of expression and the right to free speech. And some cool stuff when we are not doing that. BOOM is a part of Ping Digital Network (www.pingnetwork.in), a private limited company registered in India. Ping is a full-fledged food to living digital video network. BOOM is the news division of the network and has been in existence since 2014 and as a full-fledged fact checking initiative since November 2016.